There are two times you never want to just "eyeball" it: Conducting brain surgery and matching shades of paint for your walls. Whether you're painting or repainting, make sure you're never just "close enough" to the color you want. 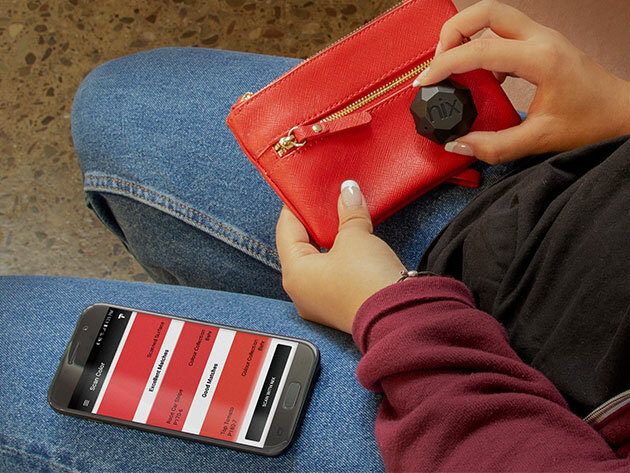 Not when the Nix Mini Color Sensor can scan and match any color perfectly. Small enough for your keychain, this innovative color-matching tool can scan any surface from fabric to walls using high CRI white LEDs. It then matches the exact hue of the surface to RGB, HEX, CMYK and LAB colors or one of 31,000 paint colors from brand names like Sherwin Williams, Benjamin Moore or Dulux. You can even save the colors to the Nix app (free lifetime access included with purchase), or share them via social media or email for quick design collaboration. Sturdy and reliable, the Nix Mini Color Sensor is an armchair designer's new best friend - and it's currently on sale for 30% off. Pick one up for $69.